Are you a design student or a newly minted graduate? 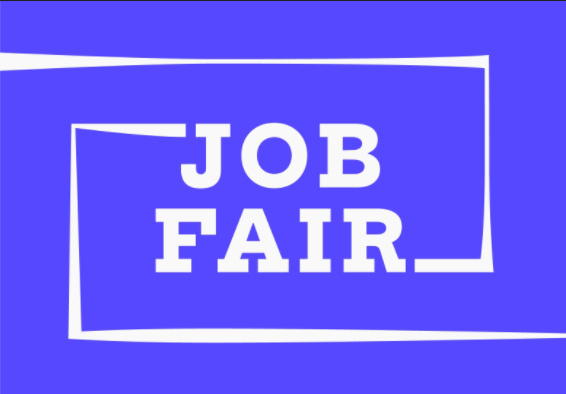 Join us for AIGA/NY’s 2nd annual mini-job fair! Its speed networking meets the design industry, not another portfolio review. Come by and introduce yourself. Meet reps. from New York’s top creative organizations, companies, agencies and studios and learn about the advantages of working at their company. Ask what a typical day is like for their designers, find out about all the office perks and hear what their creative directors look for when they hire new talent. You will discover what is unique about each situation and why you might want to work for one or more of these companies. Joe Marianek and Aaris Sherin will co-host. Careers expert Juliette Cezzar, Assistant Professor of Communication Design, former AIGA/NY Board President and author of The AIGA Guide to Careers in Graphic and Communication Design (Bloomsbury, 2017) will join the job fair this year. Ask her your most pressing career-related question, chat with her about your own experiences and buy a copy of the best Career Guide on the market today. Presented by AIGA/NY and Parsons School of Art, Media, and Technology.